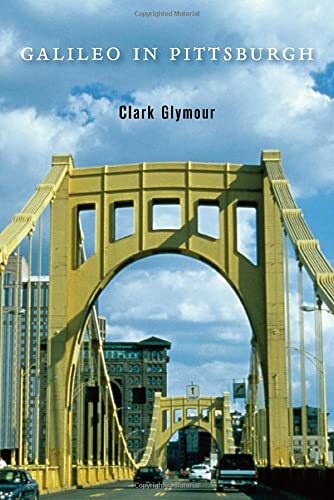 Clark Glymour is one of the most important American epistemologists. After studying chemistry he moved to philosophy of science and will probably be remembered for his influential new statistical methods. But this is not a book on philosophy. It could be called a philosophical book only in a wide sense of the word. It is rather a collection of examples of how a philosopher of science can contribute to scientific investigations; investigations that Glymour performed in his collaborations with the Institute for Human and Machine Cognition in Florida and with the NASA Ames Research Center. The volume, which comprises thirteen essays of different length, is divided into three parts, under the headings of education, environment and science (with a question mark). In the first part Glymour tells us of his (and his son's) misadventures with a narrow-minded art teacher in Oklahoma. Then he discusses in detail the arguments against Teach for America by defending public schools and proposing one set of standards for them, all-day and all-night schools for every age and a rational system of accountability. In the third essay Glymour recounts how with time he changed his method of teaching logic, replacing formal lectures with question-and-answer sessions and extemporaneous minilectures on difficult topics. The fourth essay is a short discussion on science education and the rejection of evolution in the United States. The second part of the volume, dedicated to the environment, presents a short essay on Charles Kettering, "the greatest Chemical engineer". Afterwards Glymour discusses an alleged fraud based on misconceptions about scientific method that regarded a controversial study on the effect on children's intelligence of the ingestion of small amounts of lead. In the following essay the author imagines a long and educated conversation on climate change with his old-fashioned conservative father-in-law. In the final contribution to this section he discusses biofuel production and vegetarianism. In the third part of the volume, the longest one, under the title "Science?" we find Glymour's accounts of his collaboration with the NASA and his contributions to the impossible Total Information Awareness project, which aimed at analyzing great amounts of information with the purpose of indentifying possible threats. Next he examines Sigmund Freud's forgotten study On Aphasia and its enduring relevance today. The following essay contains a series of humorous instances of failure in communication in science, including an attempt to predict wildfires based on statistics. The last piece of writing, with the title "Where Software Goes to Die", is a sad reflection on how sometimes the outcomes of research are not put into practice but forgotten on some shelf. Gylmour has applied his works on causal Bayes nets and formal learning theory to a variety of topics and this book is a collection of examples of his scientific and technological enterprises. It is always witty and enjoyable, although some of the essays of this volume require a certain level of familiarity with concepts from the fields of statistical and probabilistic theory and from chemistry. However such technicalities do not appear in the form of an academic essay but as part of a narration so their presence does not prevent the average reader from enjoying and understanding the basic themes of this book.